Discussion in 'Pontoon Forum' started by BobR, Apr 14, 2019. Hauling the 2017 2275 ESP with sports arch from S. Florida to Table Rock Lake for the summer. 1200 miles one way. Brand new trailer. What I am not certain is if I should lower the arch or leave it in its "normal" position and just be sure to take designated truck routes. Road to top of tower is 11' 5". What would you do . Any thoughts? I’d put it down if not real difficult to do. Probably not necessary structurally but why take a risk in hitting something with it. Vikingstaff, Mike31406 and KC24 like this. I am leaning towards lowering the arch for the reason you stated. Lets see what the general consensus is. Two bolts on either side need removed and it will pivot down towards the stern on the other two bolts. Lowered it once when a serious threat of a hurricane was coming and I needed it as high as possible on the lift. I just know everytime I see a bridge, especially on non-interstate roads, I will be stressing at least a little bit. Who needs that! Vikingstaff and Mike31406 like this. Will it rest on something while in the down position or be jarring with every bump? Vikingstaff and KC24 like this. Standard truck height is 13’-6”. Unless you find a low bridge, to which you already know you height restriction, you should be fine. If it was me, as long as you can support it or tie it down in the lowered position, I’d lower it. The lower the load is just one less piece to catch a branch or anything that may be hanging lower than it should. Just my 2 cents! I had the Sport Tower and never had any issues. It doesn't have any option to lower it, but they are designed (at least to my knowledge) to be in the upright position. Lowering it and trying to strap it down may cause more problems than its worth with it bouncing and vibrating on something it's not meant to. No you won't be able to go through a drive-thru, but I'm pretty sure even residential streets are supposed to have 12' clearance. Sure I had to pay attention to trees in my residential streets , but you shouldn't have any issues on any main street in even the smallest rural town. Lowering it seems like a no brainer to me but Derrick makes some good points. You might send Bennington an email to see what they say. If lowering it, you would need to support it with some kind of stand and tie it down to the stand so it's not bouncing around. 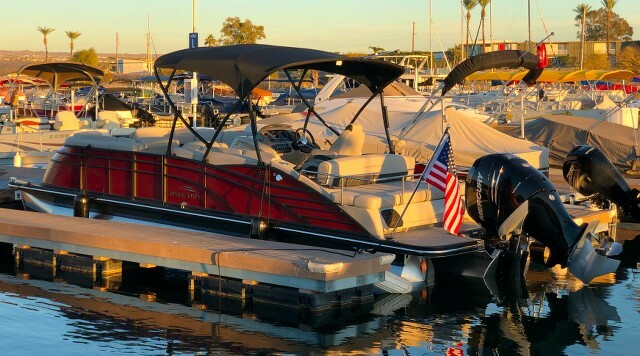 It's similar to the wakeboard tower on my previous Malibu boat. They are not really meant to be towed in the down position, unless supported. They are meant to be towed in the up position and should be no issue doing so. I wouldn't be worried about it, it's no taller than many other trucks going down the roads. Maybe just make sure the anchor light is adjusted down! Mine was shipped un - assembled .It was tucked in somewhere on the truck . It is the open arch wake tower type. It was shipped with the tower removed. Probably the onlyway to ship it on a truck to the dealer. Tilting does create other potential problems. If tilted when towing, I would need to support it better than it just resting on the stern playpen rail. Ugh. Decisions. At least I have a few more weeks to think about it. Michiman, Mike31406 and Vikingstaff like this. Check with your dealer. They used to recommend towing with it up unless they have changed. Mine was towed 1100 miles up with no issues. Wrapped it in plastic to keep bugs and road grime off. RonMexico, adkboater and Vikingstaff like this. Sport Tower is shipped fully mounted, all the way from Elkhart to Manitoba Canada, you'll be fine. I towed a jet boat with a tower between Michigan and Cape Coral, Florida twice a year for several years with absolutely no problems. You will be fine with the tower in the up position.